A warm and friendly welcome awaits you at the Leverdale Hotel, where we make every effort to make your holiday a happy one. Families, groups and coach parties are welcome;sorry NO STAG/HEN PARTIES. 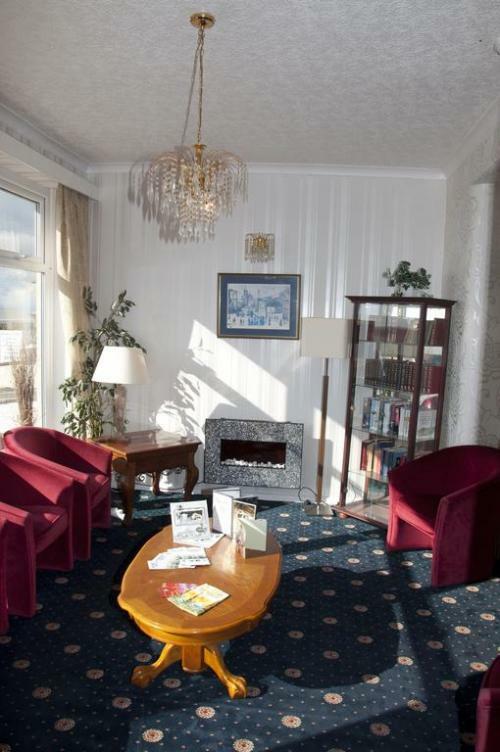 The Leverdale is a family run seafront Hotel on Blackpool's North Shore. 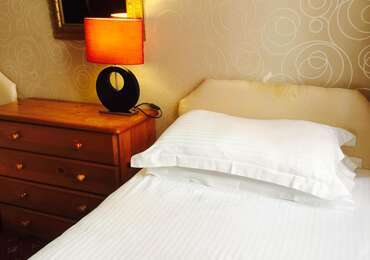 The Hotel has 19 bedrooms, car parking, , bar, entertainment lounge, free WiFi, sun lounge and large screen TV. Please use the links to find out more about our facilities. The Leverdale Hotel overlooks lovely cliff walks and miles of glorious sands with views to the Lake District and North Wales. The local area provides a wide range of shops and restaurants as well as a small arcade. The regular tram service is just across the road and runs the length of the coast from the Pleasure Beach in the South to Fleetwood in the North, with stops at all the major attractions in between. Relax and feel at home in our comfortable well stocked bar with pool table, TV, WiFI and games machines . Children are welcome in the bar area. Our newly refurbished licensed entertainment lounge has plenty of room for everyone to enjoy themselves, a dance floor and large screen TV. Entertainment is provided during the high season. A nice place to relax and enjoy views of the Irish Sea or enjoy a quite read with a book from our library. Apartment at the back of the Hotel sleeps 4 ,1 bedroom 1 sofa bed. Lounge ,kitchenette , bathroom ,own car parking space.